Group Policy allows IT admins to automate and manage multiple users and computers using a centralized model. You can define the user's work environment once and rely on the system to enforce the defined policies. 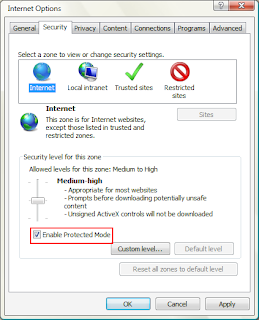 Local Group Policy is always in effect for local and domain users, and local computer settings. How are Group Policy Objects Applied? Computer settings are applied at boot and at regular intervals, while user settings are applied at logon and at regular intervals. The default refresh interval is every 90 minutes. If you have multiple policies at one level, the last one applied has the highest precedence, though you can change this behavior as needed. The local group policy contains the user and computer settings. Administrator and non-administrator local group policy. note: To configure local Group Policy on a standalone workstation running Windows 7, run gpedit.msc from the Search box with elevated privileges. EFS is built-into NTFS and designed to enable transparent file encryption and decryption by using advanced, standard cryptographic algorithms. If a user moves or copies an encrypted file to a non-NTFS file system, the file will no longer be encrypted. Utilizes asymmetric and symmetric key encryption. Symmetric means the key you use to encrypt the data is the same one you use to decrypt. Asymmetric means the key used to encrypt the data and decrypt the data, has to be different. A public and private key is used to facilitate this process. The key can be self-generated or issued from an internal or third party CA (Certificate Authority) and designed to be protected by the user’s passwords. Using a CA allows the key to be managed centrally, including backups. If a CA is not available, users can generate a key pair and the keys have a lifespan of one hundred years. There is no centralized management for self-generated keys and users are responsible for managing their own keys. Users must manually backup self-generated EFS certificates and keys. If the user forgets the password and has to have the key reset, they will not be able to get into their files any longer. However, if you set the key up through Active Directory, there is a Recovery Agent the administrators are usually a member of and can decrypt the files. EFS encryption occurs at the file-system level. When a folder is marked for encryption, every file in the folder will be encrypted. EFS allows files to be shared with other valid EFS user certificates. You must first encrypt the file and save it before adding additional users. If a user attempts to open an encrypted file and does not have the key, they will received an "Access denied" error message. 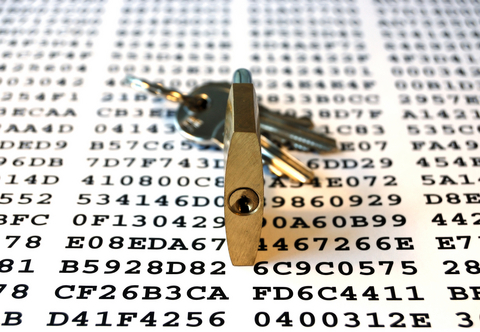 This type of encryption system is referred to as a Public Key Infrastructure (PKI). If an encrypted file is saved to or opened from a folder on a remote server, the files do not remain encrypted during transport. The file is decrypted and traverses the network in plaintext. The file is encrypted locally if it is saved to a folder on the local drive and the folder is marked for encryption. EFS-encrypted files can remain encrypted while traversing the network if the files are saved to a Web folder using WebDAV. Introduced in Windows Vista. Available on the Enterprise and Ultimate editions of Windows 7. BitLocker requires an unencrypted partition for boot requirements. Uses a set of system integrity verifiers. TMP compares a hash of the OS configuration with an earlier snapshot. If anyone changes anything about your encrypted information, the hash changes, and the system locks the drive and puts you into recovery mode. It keeps the operating system safe, as well as your data. BitLocker ensures the integrity of your data, even with the theft of your hard drive. Your computer must be running TPM (Trusted Platform Module), version 1.2 or later. TPM is a microchip used to store cryptographic information like encryption keys. The TPM specialized chip installed on the motherboard of many newer computers by the manufacturers, but is not always activated. You might have to enable TPM by entering the BIOS setup, typically in the Advanced section. TPM works with BitLocker to help protect user data and ensure the computer has not been tampered with while offline. You need to have a removable USB memory device with the key to unlock it. You can also employ an the option to use a pin code for multifactor authentication. The BIOS has to support a boot up from the TPM or USB memory device. You have to have enough hard drive space for BitLocker to create the partitions. Drives are automatically prepared for use in Windows 7. No need to manually create separate partitions before you enable BitLocker. The system partition created by Windows 7 does not have a drive letter so that data cannot be written to it. note: If your computer comes with a TPM, you can enable BitLocker directly without accessing Group Policy. Start/Control Panel/System and Security/BitLocker Drive Encryption. The Help protect your files and folders by encrypting your drives dialog box displays. You can also access the utility by typing bitlocker into the Start menu Search field and selecting BitLocker Drive Encryption from the Programs list. The BitLocker Drive Encryption window displays, and after a few seconds, this window displays the Set BitLocker startup preferences page. Use BitLocker without additional keys (Uses the TPM Only mode for validation, enabling the computer to startup without user interaction. If any hardware component has changed, BitLocker will lockup. If you selected the Require a PIN at every startup, enter the pin and confirm and click Save. If you selected the Require a Startup key at every startup, when prompted you will need to insert the USB drive and click Save. 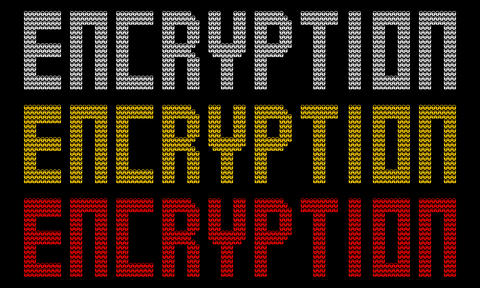 Are you ready to encrypt the drive? dialog box displays. Make sure the Run BitLocker system check box is selected and click Continue to encrypt your partition. Click Restart now to restart your computer and start the encryption. Windows 7 displays an icon in the notification area. You can use your computer while the encryption process is happening. Track the encryption progress by hovering your mouse over the icon. It will take an hour or longer and you are informed once the encryption is complete. You must now have the USB drive to start your computer or you can use the recovery mode and type the recovery password automatically created when enabling BitLocker. After selecting this option, the option changes to Resume Protection. Click to reenable BitLocker. Encrypt a drive by right-clicking a portable device and turning on BitLocker. Creates a virtual volume on the USB drive that is encrypted. The encryption key stored in the flash drive. Specifies if drives formatted with FAT or FAT32 file systems can be unlocked and viewed on earlier Windows computers (back to Windows XP SP2). If BitLocker detects a security risk, BitLocker enters recovery mode and keeps the system drive locked. The user must enter the correct Recovery Password to continue. The Recovery password can be stored in Active Directory and is a 48-digit password divided into eight groups you have to enter in recovery mode. During recovery, use the function keys to type the password into the BitLocker recovery console. Designed to protect our systems from running unwanted applications and allows IT professionals to specify what is allowed to run on our desktops. AppLocker does not prevent you from installing the application. That is UAC. AppLocker provides the ability to create rules to control how users can run an application and prevents unlicensed code from running. AppLocker applies to standard users. AppLocker rules do not apply to administrators. Right-click and select Create New Rule. When the Permissions dialog box displays, click on Deny, then click Select. In the Select User or Group dialog box, in the Enter the object names to select box, type: Contoso\Tech (example), click Check Names, and click OK.
Click Browse Files..., then click Computer. Click Create. Click Yes if prompted to create default rules. In the Local Group Policy Editor, expand Computer Configuration, expand Windows Settings, expand Security Settings. In the Command prompt window, type gpupdate /force and press Enter. APPLocker is much more granular than SRPs. AppLocker allows you enforce the rules and audit them. Windows Vista and UAC changed everything when it came to running programs with administrative rights. Running as a standard user is now the default state for user's programs, even when run by a member of the Administrators group. UAC provides a way for a user to perform administrative tasks without switching users. Standard users are described as accounts "running with least privilege", which makes the session more secure. UAC enables all users to run as standard users and when a task requires administrative credentials, such as for system modifications like when a program is installed, UAC prompts for permission. Prior to Vista, users frustrated with having to log off and log back on as a Administrator in order to do a log of common tasks, just logged on as an Administrator on a regular basis. Staying logged on as an Administrator leaves the system wide open for malware attacks, not to mention accidental changes to the system that could cause computer problems. However, Vista's UAC prompting proved to be extremely annoying and many people disabled UAC, all together. When UAC is disabled, Windows reverts to a mode similar to that of Windows XP. In that case, the LSA does not create filtered tokens, and programs run by members of the Administrators group always run with administrative rights. Further, elevation prompts do not display, but Runas.exe can be used to start a program with administrative rights. 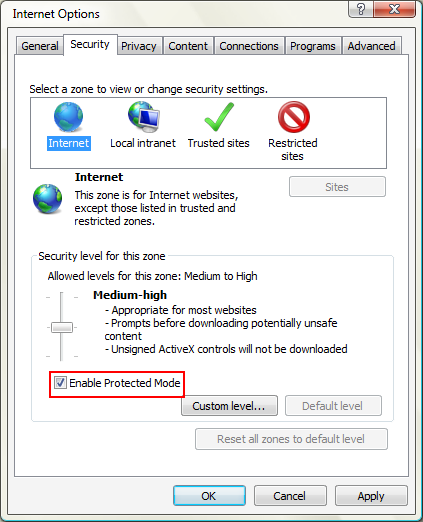 Note that disabling UAC also disables Internet Explorer's Protected Mode, so Internet Explorer runs with the full rights of the logged-on user. Disabling UAC also turns off its file and registry virtualization, a feature that enables many a applications that required administrative rights on Windows XP to work with standard user rights. Windows 7 includes changes to UAC that include less prompting for administrative credentials because UAC redefines what a standard user is permitted to do. Windows 7 lets you adjust how often UAC notifies you when changes are made to your computer. Full administrator token: used only then administrative privileges are required. Standard user token: Used for all actions not requiring administrative privileges. Low integrity: A tasks or application that is less likely to compromise the operating system (such as a web browser, email, or word processing programs). High integrity: A tasks that has a higher potential for compromising the system. Windows 7 uses a shield icon to alert you when a task requires administrative privileges. When UAC us enabled, even administrators run with a standard token. When a prompt appears asking for administrative credentials and the credentials are given, then the process can use the administrator's full access token. Microsoft recommends that most of the time you log on to the computer with a standard user account. With a standard user account, you can browse the Internet, send email, and use a word processor, all without an administrator account. When you want to perform an administrative tasks, such as installing a program or changing a setting that affects other users, Windows will prompt you for administrative permissions. Microsoft also recommends you create standard user accounts for all users of your computer. Scroll to find User Account Control: Behavior of the elevation prompt for standard users and double-click. In Windows 7, you can customize the elevation prompt experience. These four settings can be maintained through the Action Center. When a program makes a change, a prompt appears, but the desktop is not dimmed. Otherwise, the user is not prompted. When a program makes a change, a prompt appears, and the desktop is dimmed to provide a visual cue that installation is being attempted. Otherwise, the user is not prompted. The user is always prompted when changes are made to the computer. Windows Firewall is a built-in, host-based, stateful firewall that is included in Windows Vista, Windows Server 2008, Windows XP with Service Pack 2 and later, and Windows Server 2003 with Service Pack 1 and later. Windows Firewall drops incoming traffic that does not correspond to either traffic sent in response to a request of the computer (solicited traffic) or unsolicited traffic that has been specified as allowed (excepted traffic). Windows Firewall helps provide protection from malicious users and programs that rely on unsolicited incoming traffic to attack computers. In Windows Vista and Windows Server 2008, Windows Firewall can also drop outgoing traffic and is configured using the Windows Firewall with Advanced Security snap-in, which integrates rules for both firewall behavior and traffic protection with Internet Protocol security (IPsec). Network firewalls are located on the network's perimeter. Stateful connection analysis by inspecting the state of all communications between hosts and storing connection data in state tables. Virtual private network (VPN) gateway functionality by providing IPSec authentication and encryption with Network Address Translation-Traversal (NAT-T) that allows the permitted IPSec traffic to traverse the firewall with public to private IPv4 address translation. Host-based firewalls are located on individual hosts within the network. In addition to network-based firewalls, host-based firewalls running on the individual computers are needed to provide additional security because network-based firewalls are not enough to provide the protection needed inside the network. Windows Firewall with Advanced Security provides an extra layer of security in your network. Windows 7 basic firewall settings are centralized in Control Panel in the Network and Sharing Center and System and Security. Home or work (private) networks. Networks at home or work, trusted networks. Network Discovery is turned on. 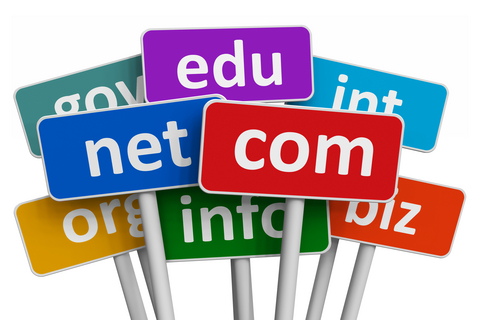 Domain networks. Networks at work that are attached to a domain. Automatically used for a network that has communication with a domain controller. Network Discovery is on by default. Public networks. Networks in public places. This location keeps the computer from being visible in public places. Network Discovery is turned off. When you add a program to the list of allowed programs in a firewall, or when you open a firewall port, you allow a particular program to send information to or from your computer through the firewall. Allowing a program to communicate through a firewall (sometimes called unblocking) is like punching a hole in the firewall. Each time you open a port or allow a program to communicate through a firewall, your computer becomes a bit less secure. The more allowed programs or open ports your firewall has, the more opportunities there are for hackers or malicious software to use one of those openings to spread a worm, access your files, or use your computer to spread malicious software to others. It's generally safer to add a program to the list of allowed programs than to open a port. If you open a port, it stays open until you close it, whether or not a program is using it. If you add a program to the list of allowed programs, the "hole" is open only when needed for a particular communication. 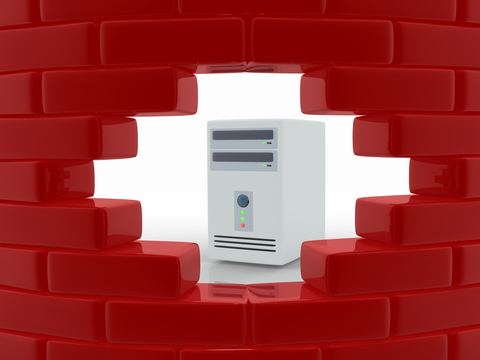 What are the risks of allowing programs through a firewall? Windows Firewall with Advanced Security is an example of a network-aware application. You are able to create a profile for each network location type. Each profile can contain its own specific firewall policies. When Windows is first installed, all unsolicited inbound traffic is blocked. 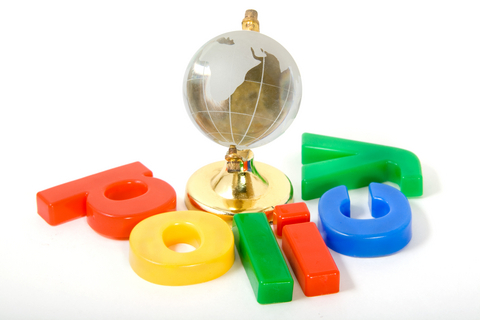 To allow a certain type of unsolicited inbound traffic, you must create an inbound rule to describe the traffic. Windows Firewall allows all outbound traffic unless a rule blocks it. Connect rules will often become a ByPass rule. IPSec is most often a ByPass rule. This means it is evaluated and used instead of any inbound or outbound rules. Use Connection Security rules to specify that connections between two computers must be authenticated or encrypted. These rules specify how and when authentication occurs, but they do not allow connections. Note: You can have more that one profile active at a time. Traditional firewalls look at layer 3 and 4. They look at source address, destination address, protocol number, protocol ports if needed. Some look at TCP sequence numbers and acknowledgement numbers and flag settings and might do a little more granular work. Some times you have a remote desktop connection, and you have an incoming connection and your machine starts what looks like a new outbound session to give them that remote desktop. To a firewall that looks like a separate type of event because it is using different ports, and such. It is tough to configure. Now we can make our rules based on programs and that makes it easy when you don’t know all of the TCP, UDP, or port based settings. You can also deal with server or domain isolation to determine if you are communicating with someone on the inside or the outside of your network. You can deal with certificate authentication, a computer can come in as long as they can identify who they are. Your source port is only important so that when you reply to me, I know which communication I sent out that you are replying to. If I go to multiple web pages, I will have multiple source ports. As I get all these replies coming in, the source port I sent to you becomes the destination port of the reply coming back. When an application wants to start communication with an application on a remote host, it creates a TCP or UDP socket. The TCP or UDP socket is a combination of transport protocol, IP address, and a port. Ports are used in TCP or UDP communications to name the ends of logical connections that transfer data. What type of rule would you like to create? You will see some rules displayed. We will choose all of them. Does this rule apply to TCP or UDP? When does this rule apply? Allows you to click on the compatibility button to make sure you can see a web page in the browser version it was designed for. Web sites display in IE8 Standards Mode by default. The Compatibility View button can be used to fix sites that render differently than you expect. IE8 remembers the websites that have been rendered in Compatibility View. The button needs only to be pressed once for a particular site, unless it is removed from the list. IE8 ships with a list of sites that are known by Microsoft to require Compatibility View. The list is updated through Windows Update or Automatic Updates on a regular basis. 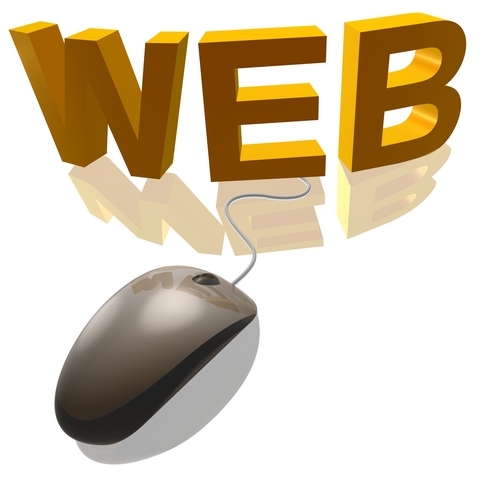 Internal websites created for IE7 will work. Intranet websites display in IE7 Standards mode by default. Group Policy can be used to set a list of websites that should be rendered in Compatibility View. You can switch in and out of Compatibility View without requiring a restart of the browser. There is a new entry on the Tools menu that allows for advanced configuration of the Compatibility View. The Application Compatibility View Toolkit (ACT) helps IT professionals to resolve compatibility problems with IE8 and internal applications. The Internet Explorer Compatibility Evaluator within ACT helps IT professionals determine potential compatibility problems with websites. When ACT runs, a log is created showing compatibility issues along with an error message and a link to a white paper describing mitigation and fixes. While you are browsing the Internet, there will be no logs, no cookies stored, no temporary files. All of the tracking will be gone when you are done to help protect data and privacy. An alert or frequency level can be configured (initially set to three) and third-party content is blocked when the frequency level is reached. Group Policy or the Internet Explorer Administration Kit has Delete Browsing History options that can be configured by Administrators. note: Favorites can also be configured automatically. The SmartScreen Filter relies on a Web service backed by a Microsoft-hosted URL reputation database. Microsoft keeps track of sites with malicious content. IE contains a filter that helps to protect against XSS attacks. Identifies and neutralizes a cross-site scripting (XXS) attack if it is replayed in the server’s response. XXS installs malicious code on your website. You have the ability to change the default settings for the different types of zones, but it is probably better to leave them the way they are set. Medium-high is the best choice. It gives you a tutorial on InPrivate Browsing. You will see InPrivate in the URL bar. You won’t see the history. This is good for working in a public place. Malicious software is software designed to deliberately cause harm to a computer. A software program designed to help detect and remove known spyware and malware. Windows Defender needs to have updates to recognize new malware and update its signatures. Windows Defender does not slow your system like other third-party solutions. You can configure it to your liking. For example, it doesn’t have to scan all web pages before presenting it to you. Or, scan all email before it shows up in your inbox. You have the flexibility to alter they way you are monitored. You have the ability to do real-time protection and look at files you are downloading and running. Note: Even though your malware detection software might be behind by a few hours or days, if you are also using APPLocker, Windows Firewall, User Access Control (UAC), this gives you the recommended in-depth security that is recommended. 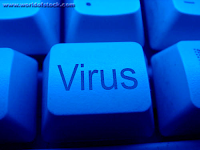 When the setting is on, this program will alert all users if spyware or other potentially unwanted software attempts to run or install itself on this computer. When the setting is on, this program will allow you to see the History, Allowed items, and Quarantined items from all users. Items are hidden by default to protect user privacy.